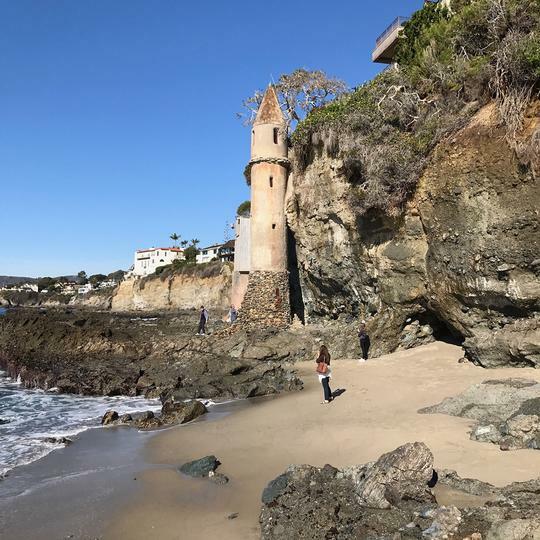 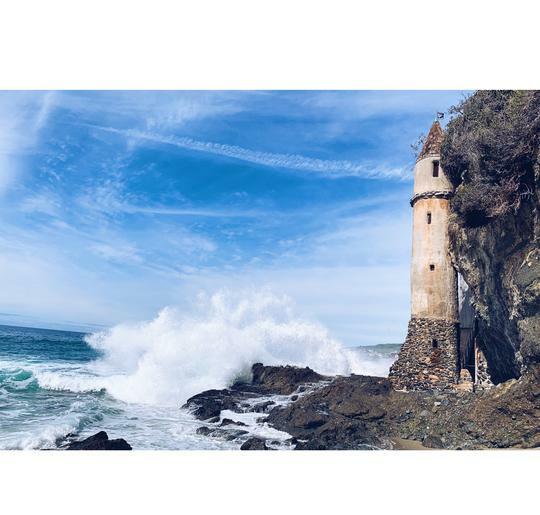 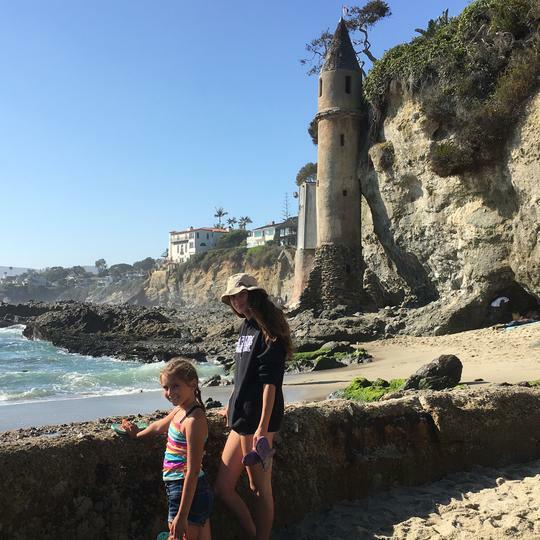 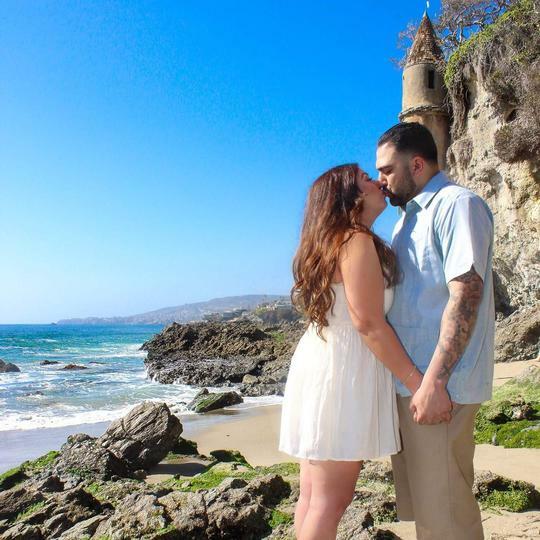 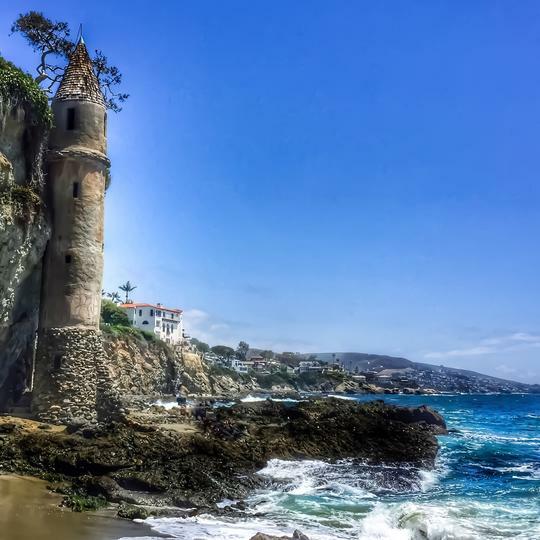 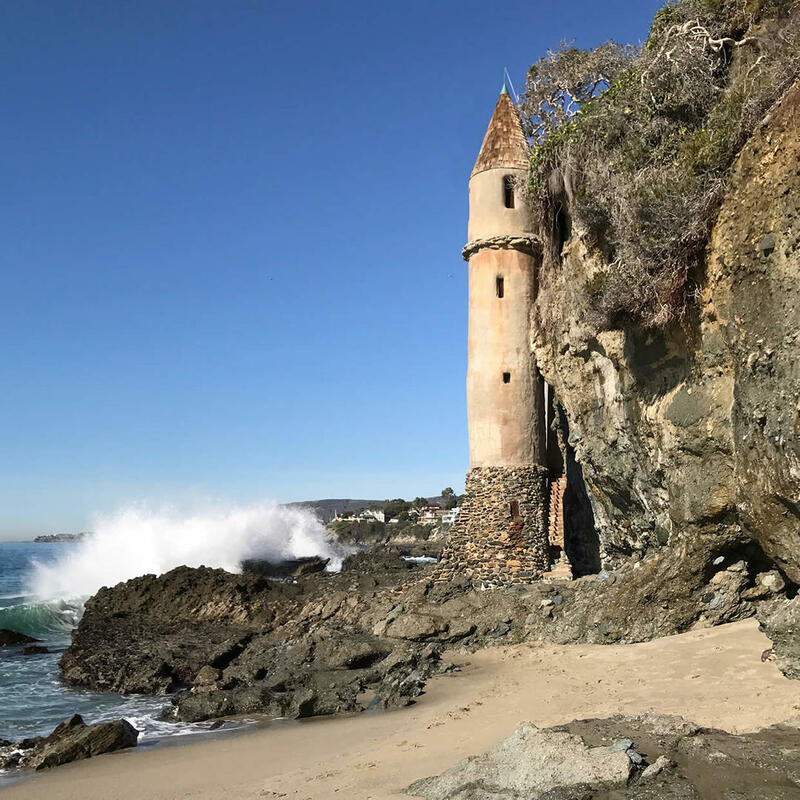 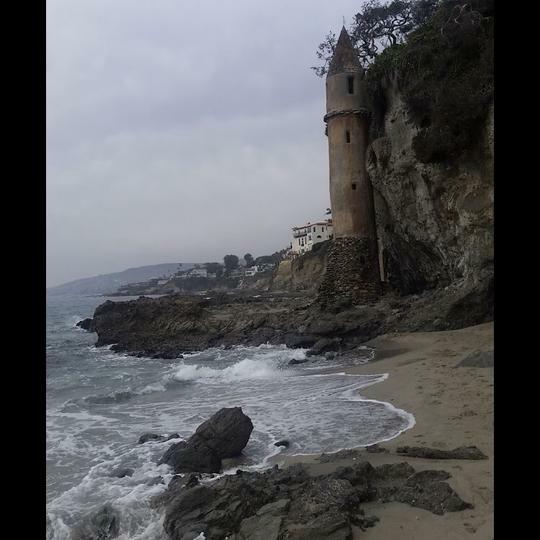 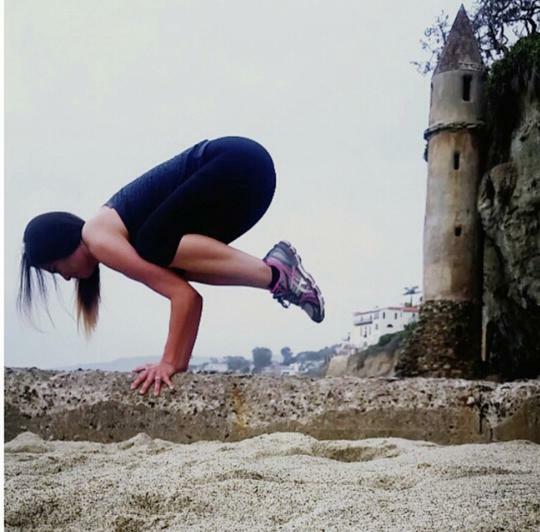 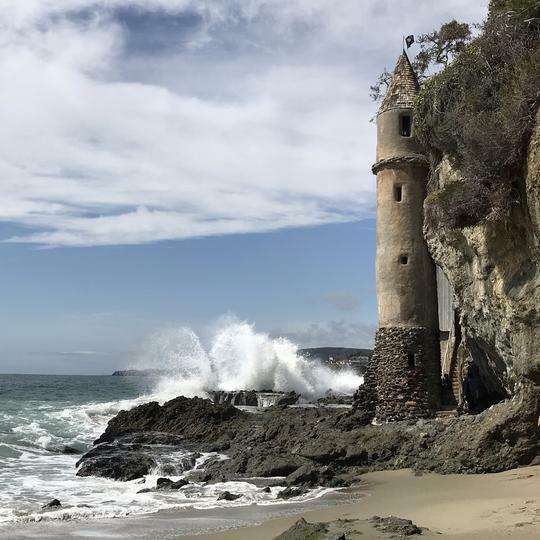 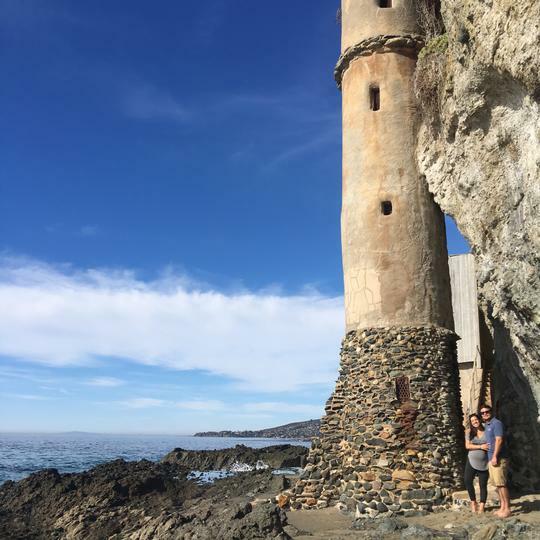 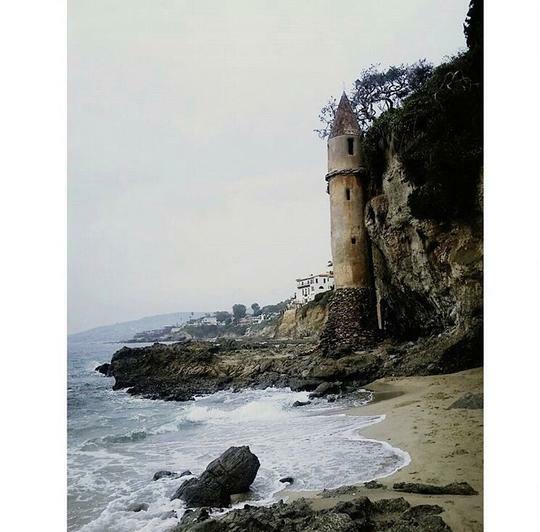 Fit for Rapunzel, this tower juts up from a rocky shoreline in Laguna Beach. 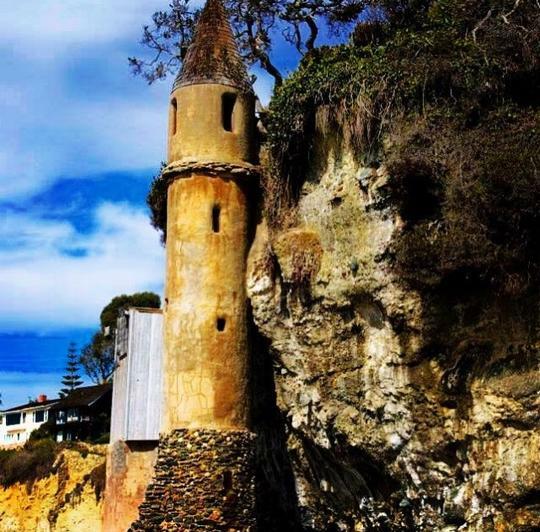 It is part of the house which is directly above and serves as a path down to the beach. 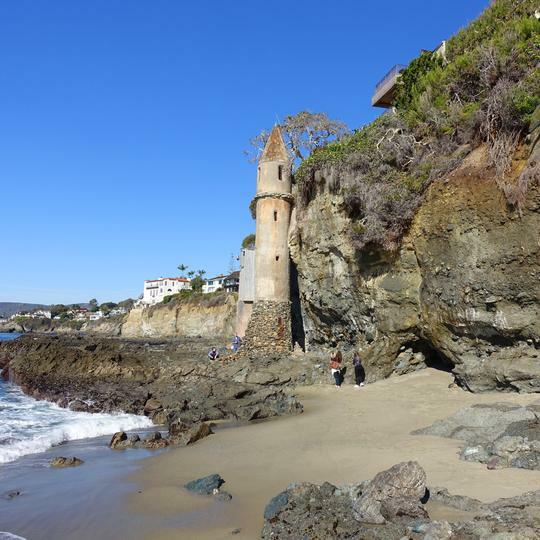 Since California beaches are all public property, you can walk up to the concrete structure. 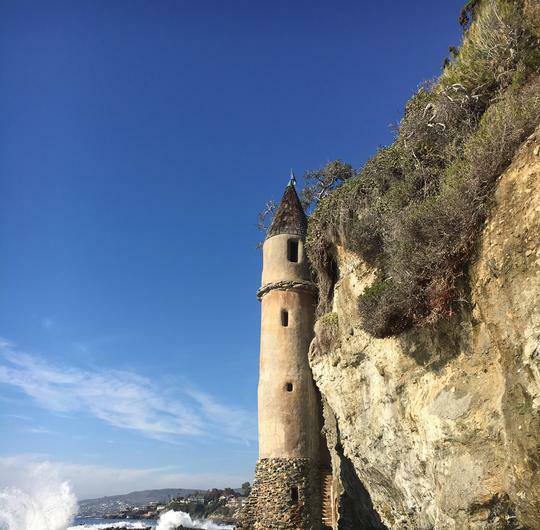 Unfortunately, it is privately owned, so entry is forbidden. 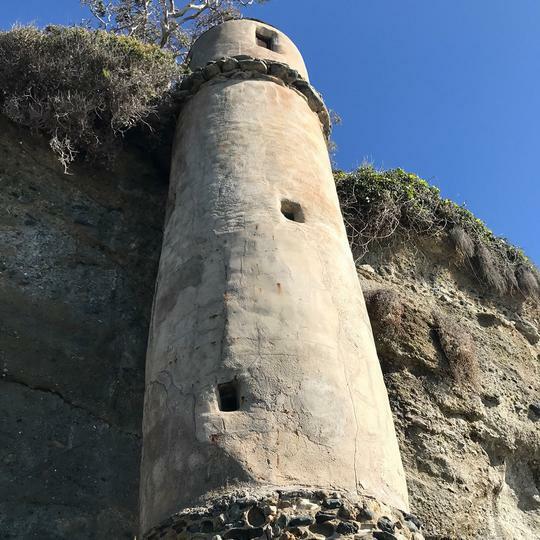 Victoria beach pirate tower. 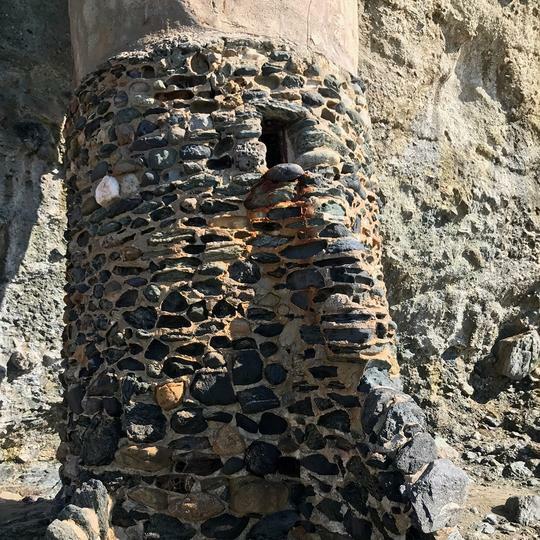 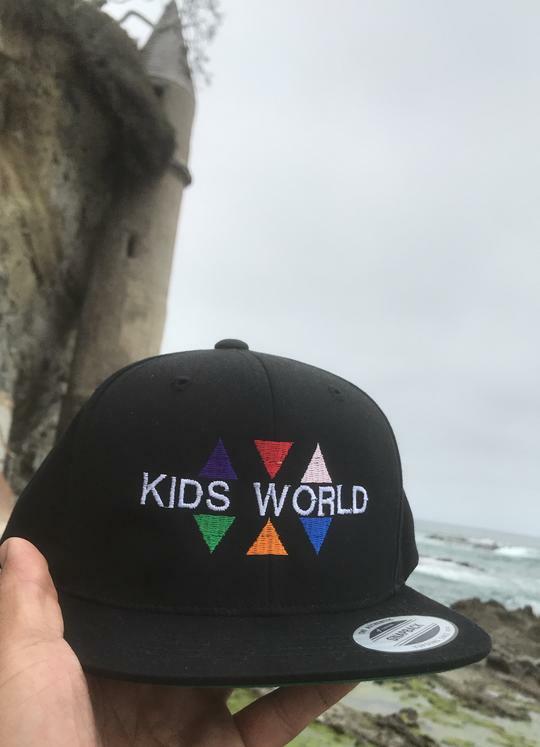 The tower itself has a lock but you can peak inside. 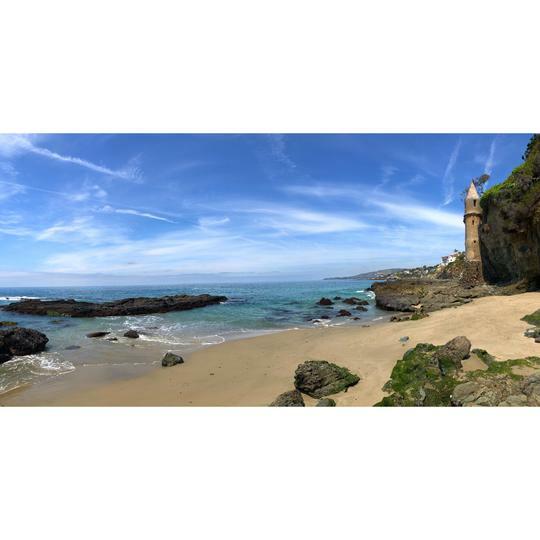 Theirs also tide pools all around.